Did the Carolina Panthers do Themselves a Favor By Losing to the Atlanta Falcons in Week 16? 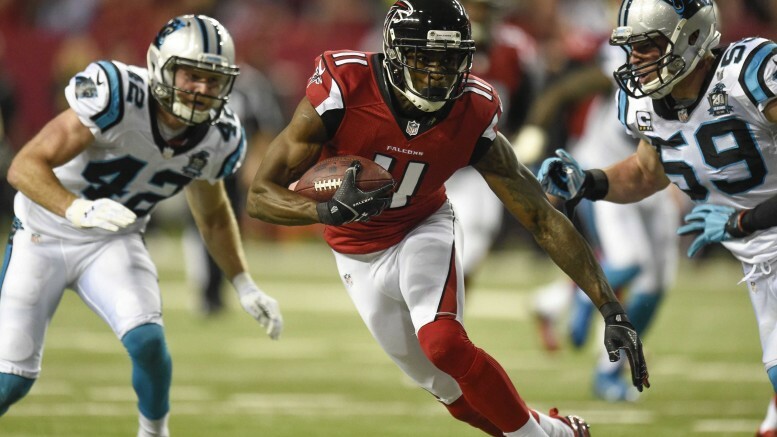 The Panthers could not contain the Falcons' Julio Jones (9 catches, 178 yards) in their Week 16 loss, but ultimately that may be the best thing that could have happened to them. It was in late January (into early February) of 2008 that we were pondering whether we would see true perfection on Super Bowl Sunday. Of course, it did not happen, as the New England Patriots’ bid for 19-0 was denied by the New York Giants. In the days leading up to Super Bowl 50, we are not talking about perfection, thanks to the Atlanta Falcons. Carolina’s potential bid for a perfect season was snuffed out in a 20-13 loss at the Georgia Dome in Week 16. Maybe it’s better this way, and perhaps the Panthers were actually rather relieved when they finally lost their goose-egg in the L column. If the Patriots, the ultimate “cool-under-pressure” group, couldn’t do it, with a record-setting offense and all, why would things be different for the Panthers? There is no 19-0 storyline to be had, but it feels like there could have been. No, I am not suggesting any kind of conspiracy theory that the Panthers tanked that game on purpose. At that moment, they were still trying to secure homefield advantage throughout the NFC playoffs. But I’m quite sure they were okay with finally losing a game and facing some adversity for the first time in 2015. As a championship-caliber team should, Carolina responding by thumping the Tampa Bay Buccaneers to close out a 15-1 regular season, and have steamrolled through NFC powerhouses Seattle and Arizona in the postseason. There is a legitimate chance that the pressures of going for perfection would have altered their mindset somewhat entering the playoffs. The Patriots didn’t just lose Super Bowl XLII because they were 18-0 and “you can’t win ’em all.” They started to show some cracks in the postseason, and the Giants were simply a tough matchup for them (as evidenced by a near-loss to New York in Week 17 when they got to 16-0). But certainly, the perfection angle didn’t do them any favors. In that Week 16 loss, Carolina was human, as it was stifled offensively after jumping out to an early 7-0 lead. The Panthers had been lucky to escape with a win the week prior against the Giants, and the Falcons are no slouch, as they proved by starting the season 5-0. But ultimately, losing that game was a very good thing for the Panthers, if not the best thing that could have happened to them. Sure, it would have been kind of neat to stir some 19-0 talk back up again eight years later, but the Panthers are fine with the way things are. To boot, their 18-1 will feel a lot better than the Patriots’ should they achieve it. Be the first to comment on "Did the Carolina Panthers do Themselves a Favor By Losing to the Atlanta Falcons in Week 16?"